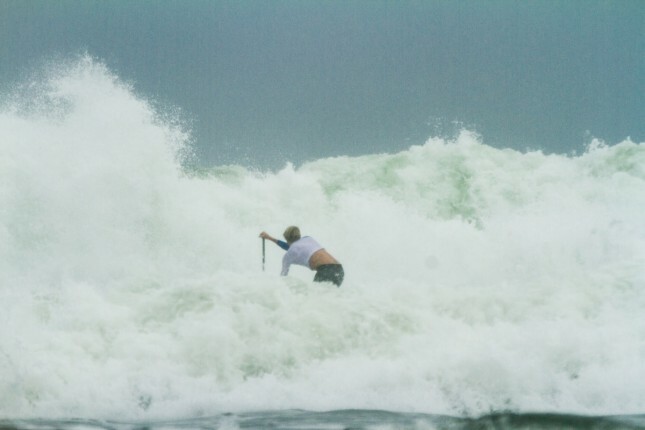 Check out this epic image from yesterday’s beach race in New Zealand, where apparently macking surf and board-breaking conditions are greeted with a simple “lets-get-on-with-it” shrug of the shoulders. This shot (courtesy of photoCPL) was taken at Piha Beach about an hour west of Auckland, where the racing was part of Surfing New Zealand’s national championships. 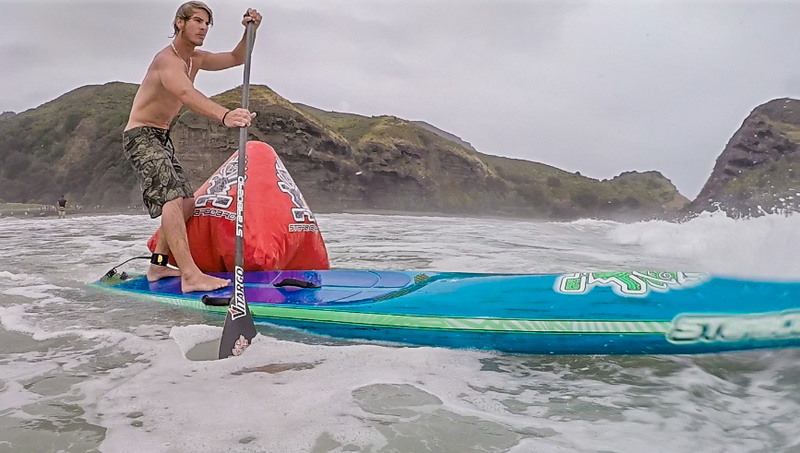 Starboard’s superstars Connor Baxter, Zane Schweitzer and Sean Poynter, who are in NZ this month for a pre-season training camp, took the chance to join the locals in what must surely be SUP racing’s equivalent of Code Red conditions. 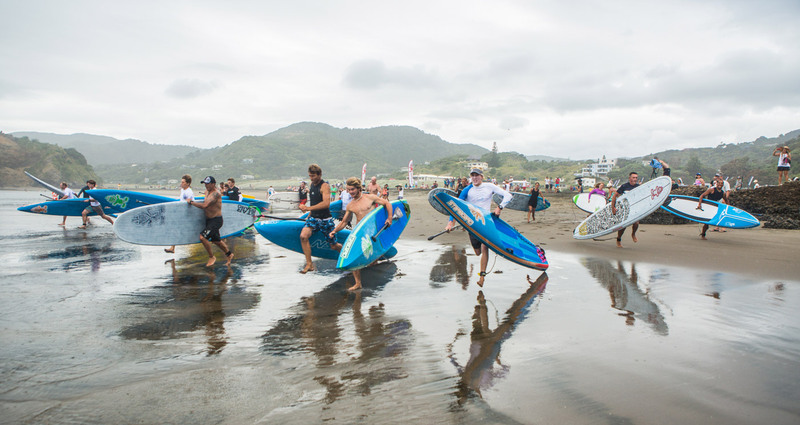 In the photo above we can see New Zealand’s local charger and 6-time national surf racing champ Armie Armstrong keeping pace with Zane and Connor off the start. 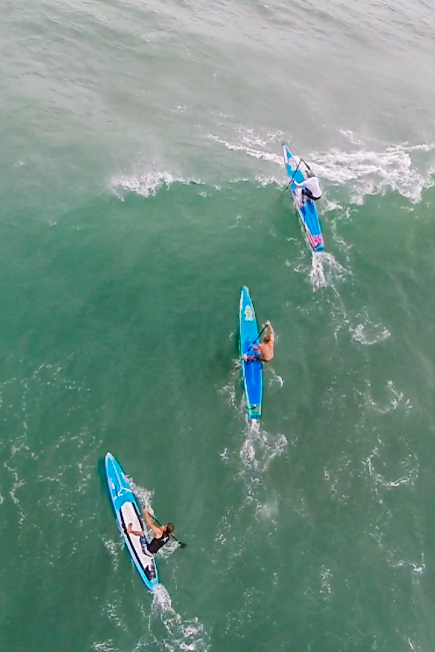 Connor ended up being taken out of the race by his own board, while Zane eventually paddled clear to take the win ahead of Armie. Big congrats to Zane for surviving the carnage quicker than anyone else. 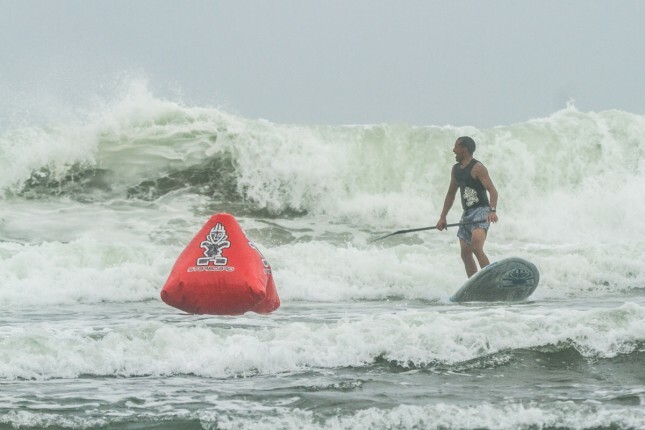 As you can see below, the always-energetic Mr. Schweitzer crossed the line with his trademark smile and stoke. 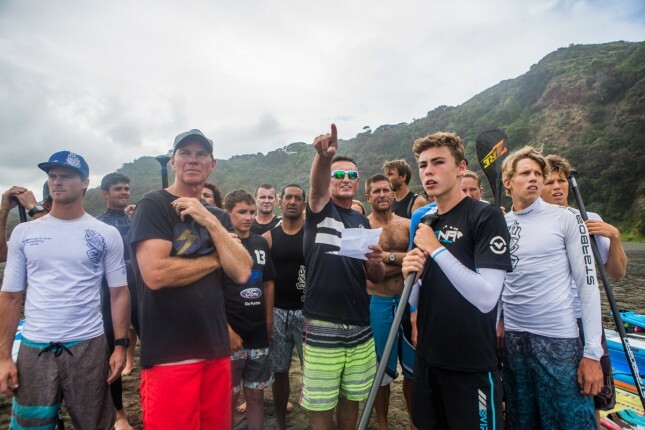 Though not a bad effort from Armie when you consider he’s more than twice the age of the Maui boys – and he was actually leading at one point before getting cleaned up by a bomb set. 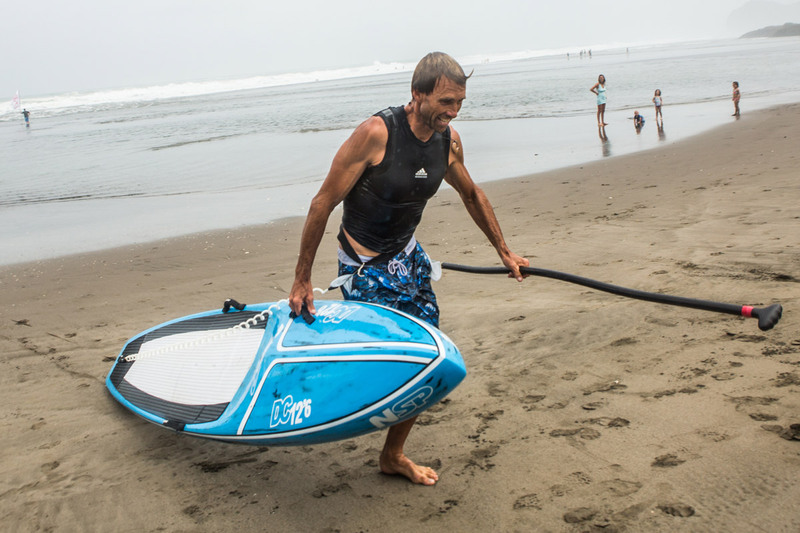 Armie told me he paddled in to the finish with a board so severely creased that the deckpad was basically holding it together. And he wasn’t the only one. 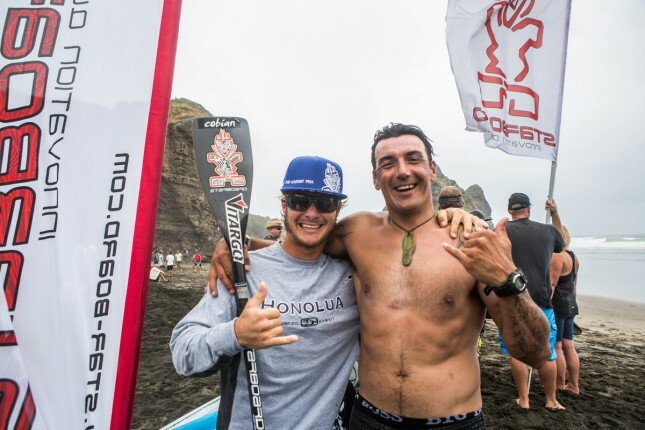 Rounding out the podium was Shayne Baxter (no relation to Connor), followed by Shane Murrell and Daniel Kereopa (who looks like he raced the whole course on a SUP surf board – probably a wise choice actually). 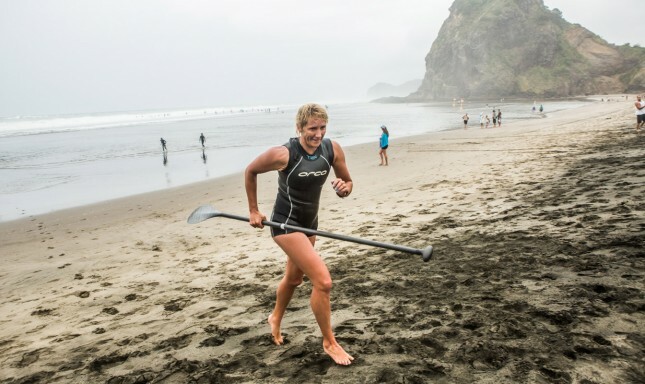 Pea Strickland, third place at last year’s Molokai-2-Oahu and therefore no stranger to a bit of rough ocean water, took out the women’s race as perhaps the sole female survivor – apparently there were a lot of DNS and DNFs on the results sheet. 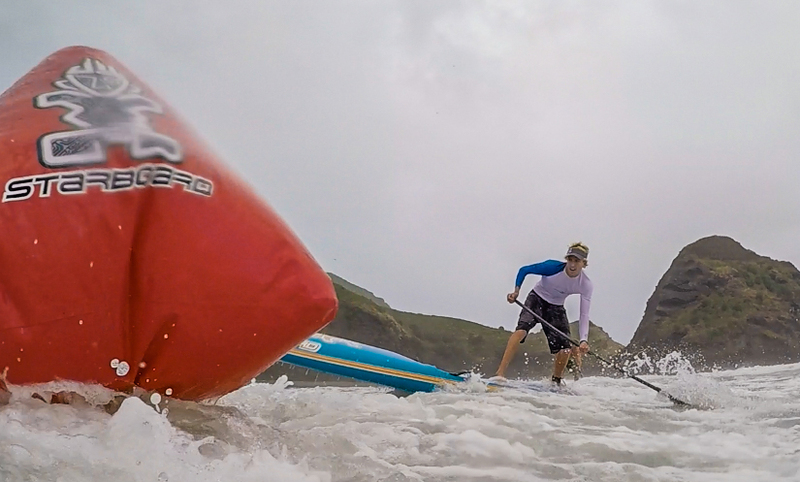 Pea was another one who limped home on a seriously creased board, commenting that the race was “Amazing! !” and that the photos didn’t even do it justice. All in all sounds like a pretty crazy/fun adventure out there. 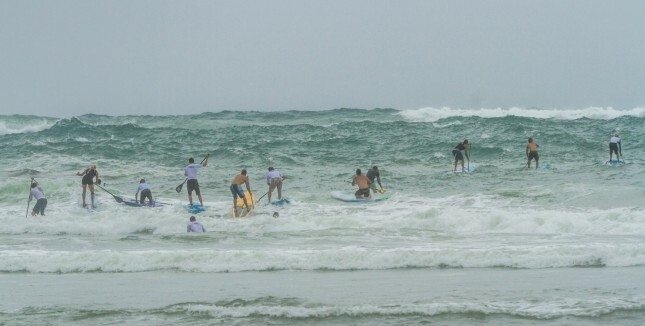 Nobody got too badly hurt but plenty of boards were left battered and bruised. 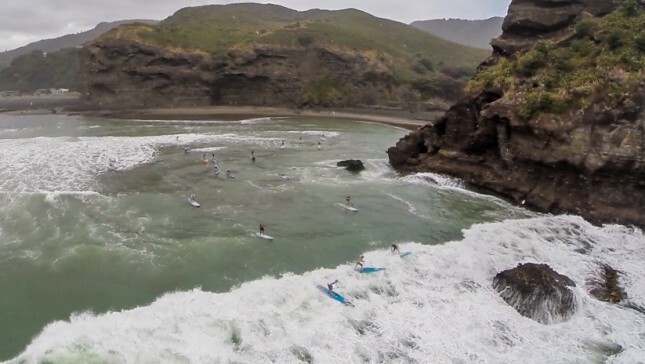 Just take a look at that drone shot below – nothing like 6ft waves smashing against a 100ft cliff to motivate you to stay on your feet. New Zealand, famous in the SUP racing world for exporting arguably the most dominant racer ever, is home to a thriving local race circuit and paddling community. The country has a reputation for producing tough paddlers and with conditions like this it’s easy to see why. Suddenly, Salt Creek doesn’t look so intimidating. 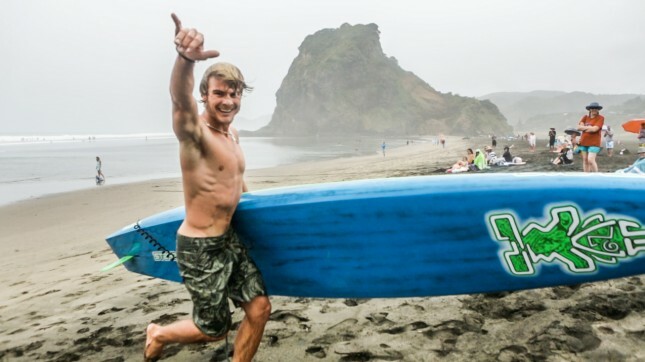 Big thanks to Georgia Schofield and Starboard SUPSNZ for sending us all these shots.